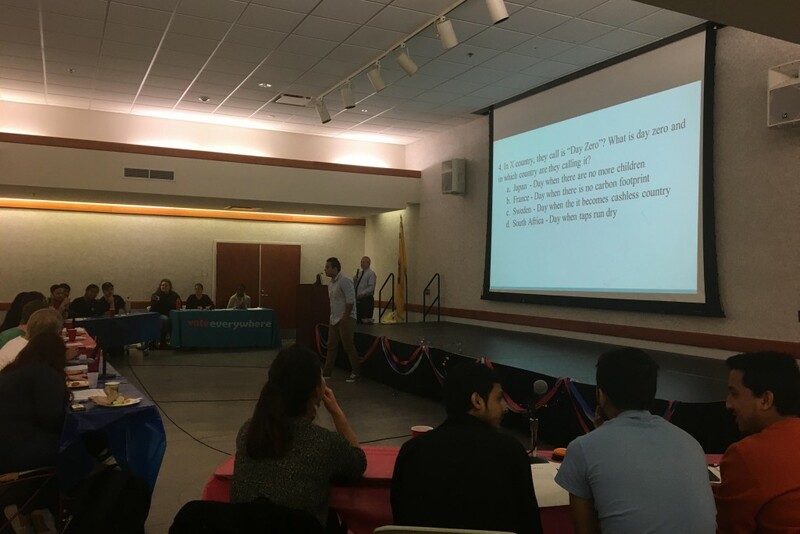 The Civic and Community Engagement Center held their second annual Quiz Bowl as a part of Community Engagement week. 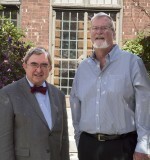 Dr. Walter T. Brown, a professor of history and international studies, and CCEC student coordinator Achyut Gautam emceed each round with questions about current events and global politics. The four student teams Alpha Phi Omega (APO), International Student Organization (ISO), 4GotteN SuitCase and Rest of the World answered questions that were projected onto the screen in Friends Hall. Between rounds, audience members also had the chance to answer questions to win small prizes. In the opening round, the first few multiple choice style questions were about Black Lives Matter, like what activists founded the movement as well as the hashtag. During the next segment, students had to guess what person was portrayed in pictures of important figures like Malala Yousafzai, Colin Kaepernick and Ajit Pai. The correct answers from the next round of the Quiz Bowl, #MeToo vs. Fifty Shades of Grey, left many students stunned. Completely out of context, brief passages from either the “Fifty Shades of Grey” trilogy or tweets from women of the #MeToo movement would appear on screen for students to guess which source they originated from. The third round was coined “the buzzer round,” as each team received a miniature buzzer equipped with a different novelty sound effect. In prior rounds, the questions bounced from team to team, but questions in this round were fair game for whichever team hit the buzzer first. From there, the questions ranged from which country has the largest refugee camp (Uganda) to what was the first college to implement a consent policy (Antioch College in Yellow Springs, Ohio). Throughout the Quiz Bowl, student teams traded the lead from round-to-round. In the end, the International Student Organization (ISO) won Amazon gift card prizes for accumulating the most points.